'I must have flowers, always, and always' - Claude Monet you are a man after our own heart. At Sunshine we adore flowers and love that flowers can speak louder than words, they can change moods, recall memories, inspire artists, celebrate occasions and make our house feel like home. Autumn is blooming with beautiful flowers thanks to our friends at Northside Flower Market. Northside Flower Market at Stafford, is Brisbane's largest full-service florist open to the public with fresh stock arriving daily. 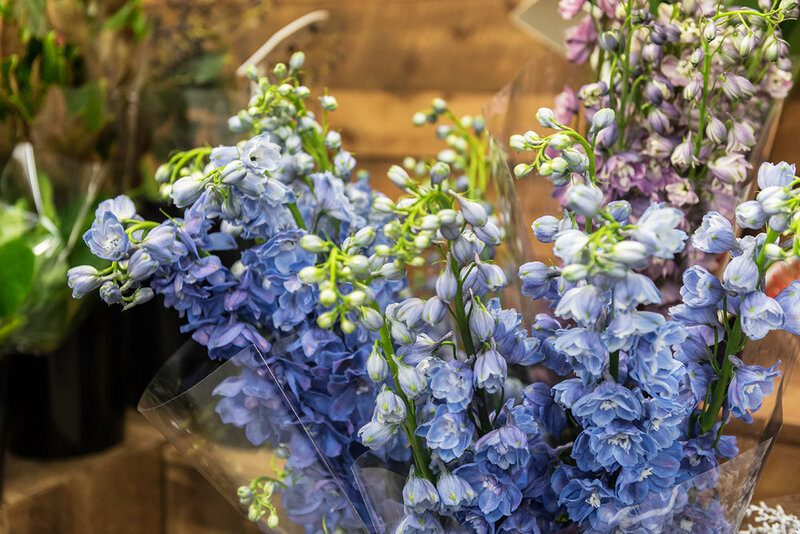 They have a shop filled with floral designs ready-to-go or you are welcome to ask their florists to create a stunning gift from your choice of fresh flowers. What’s in Season? As the weather turns a little cooler a few of our favourite flowers blooming this Autumn include Tulips, Roses, Delphiniums, Asters and Easter Daisy. Terrarium, Bouquet, Native Bouquet and Wedding workshops are always available on the Northside Flower Market website with more added every week. However a stand out workshop coming soon is the ‘Make your own Wreath’ Workshop. In this workshop florists will teach you how to make a native wreath, which you can later replicate for ANZAC Day commemorations, or theme for Christmas and other occasions. All materials for the class are included, and you also receive a complimentary tea or coffee from our Flower Market Cafe! List of upcoming classes can be found here. Fresh Native wreaths are a popular option for Anzac Day commemorations. Our Mothers Day range will launch in April featuring beautiful soft pastels and lush bouquets. Following Northside Flower Market on Instagram here and Facebook here.